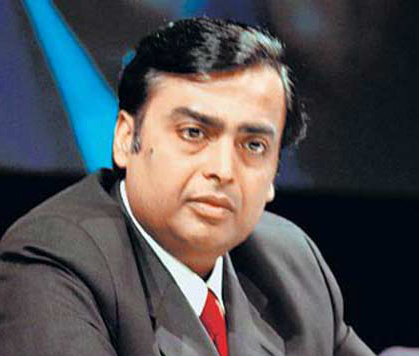 Mumbai: Facing criticism from certain political quarters over natural gas price hike, Reliance Industries Chairman Mukesh Ambani Wednesday expressed confidence the company will win public trust as it believes in creating wealth and livelihood for millions in a transparent manner. "We are here to win trust and we will win this with truth and transparency," Ambani told the shareholders at the 40th AGM here in response to an indirect question on Aam Aadmi Party's (AAP's) allegations against the company. He went on to add that "I want to assure you that we are a mature corporation and we are committed to creating value... I am a big believer that we should work with people who have different views than us, convince them that what we are doing is right". AAP leaders, including its national convener Arvind Kejriwal, alleged that the proposed gas price hike would lead to further inflation and only benefit RIL. In February this year, the party went to the extent of going to the courts against the petroleum ministry, two former oil ministers -- Murli Deora and M Veerappa Moily -- and RIL over the previous government's plan to almost double natural gas prices. RIL had said at that time the allegations were baseless and devoid of any merit. Earlier, addressing the shareholders, the RIL Chairman said: "Timely regulatory approvals and market-based gas prices are the key to developing these (oil and gas) resources. We along with our partners BP and Niko have initiated the arbitration process seeking implementation of the domestic natural gas pricing guidelines 2014," he said. Responding to a shareholder's view that there is a 'Krishna-Sudama' relationship between the RIL investors and shareholders as far as the issue of higher dividend was concerned, Ambani said the company treats all its shareholders on par. "Our relationship with the individual shareholder, however small, is very serious. In terms of returns, all shareholders who have been perpetual shareholders of Reliance for the past 40 years have had the highest returns not only in the country but any where in the world.